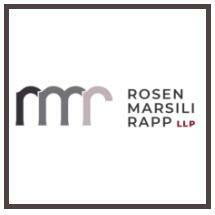 With over 70 years of combined experience in labor and employment law, Rosen Marsili Rapp LLP provides clients with individual attention through a collective approach based on each attorney's distinct set of skills. Our legal team works collectively, drawing upon each other's knowledge and experience, to achieve the best possible outcome for each client. We take the time to assess clients' unique situations before determining strategies to meet their needs. By listening to our clients and understanding their concerns, we establish objectives and identify potential solutions which lay the foundation for every matter we pursue. Although our office is located in Los Angeles, we accept cases from across Southern California.